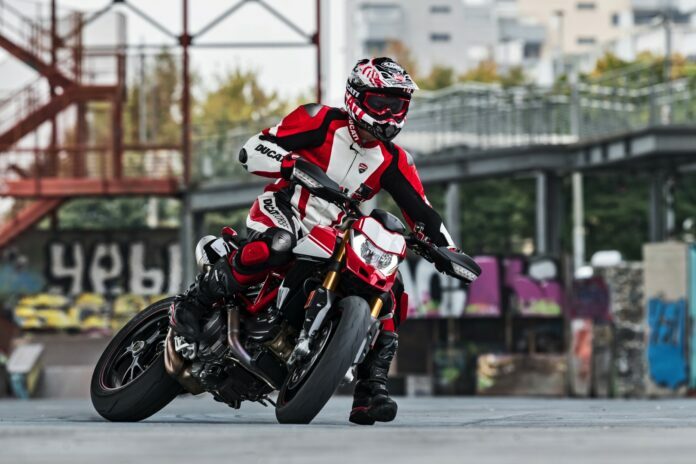 Old Hypermotard 939 models are finally getting replacements, dubbed Hypermotard 950 and 950 SP. 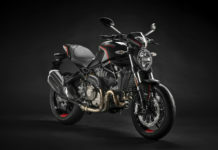 The new design borrows heavily from supermotards, especially when it comes to a sharp look, filled with acute angles, giving a new Ducati an aggressive look. Compared to 939, 950 is a leaner machine, losing some weight, but increasing the power. SP version is top of the line offer, packing premium suspension and wheels. It also has a new electronic suite and comes with carbon fiber parts to further decrease weight. 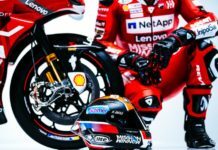 Although the hooligan segment of the market is far from being very popular, Ducati has still gone all out in designing their latest addition to the brand. 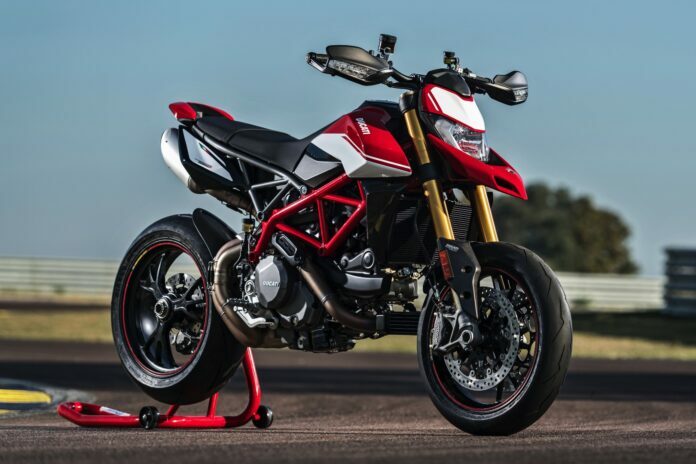 Down to its bones, new Ducati Hypermotard 950 is a naked bike, with an exposed frame and almost no body panels. Everything on it is there for a reason, in a classic form-follows-function approach to design philosophy. The front fender is mounted rather high, in order to leave enough space for the front wheel suspension to absorb all the power 950 is packing. The handlebars are very wide, providing enough leverage for even the most demanding maneuvers. Exposed Trellis frame is composed of tubular members, which are quite visible. Due to lack of side panels, the L-engine is almost fully exposed, its only cover being a 3.8-gallon tank sitting on top of it. The dramatic paint job is reinforced with red frame and black drivetrain. The most visible difference between 950 and 960 SP models is a suspension. While 950 uses Sachs and Marzocchi components, SP version comes with Öhlins ones. 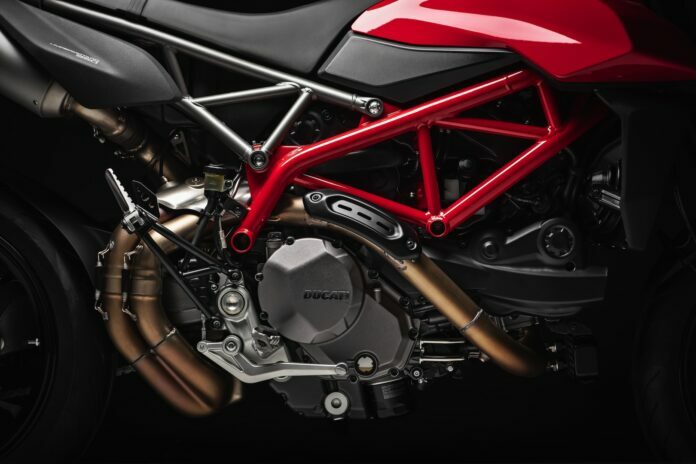 950 uses the same base Testastretta, 11-degree, L-Twin engine as 939, but tweaked to perform better, with increased horsepower and torque. 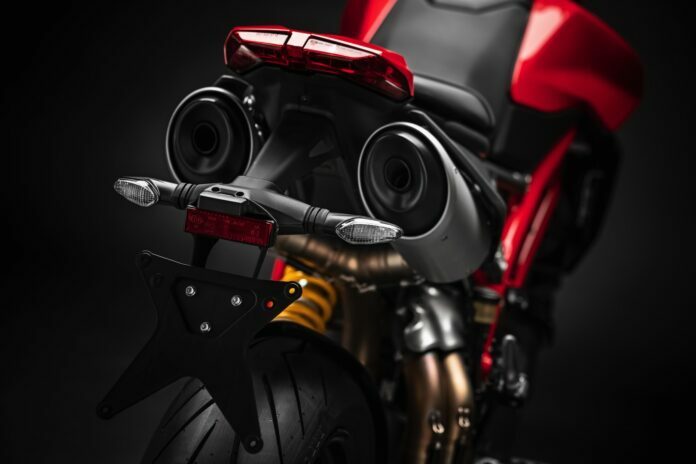 Its 114 horsepower at 9,000 rpm and 71 pound-feet of torque are able to push the bike to the estimated top speed of 176 mph at 7,250 rpm. Getting that much from a 937 cc engine is possible due to a huge 13.3-to-1 compression ratio. The downside are frequent visits to gas stations, which will leave a dent in your wallet. 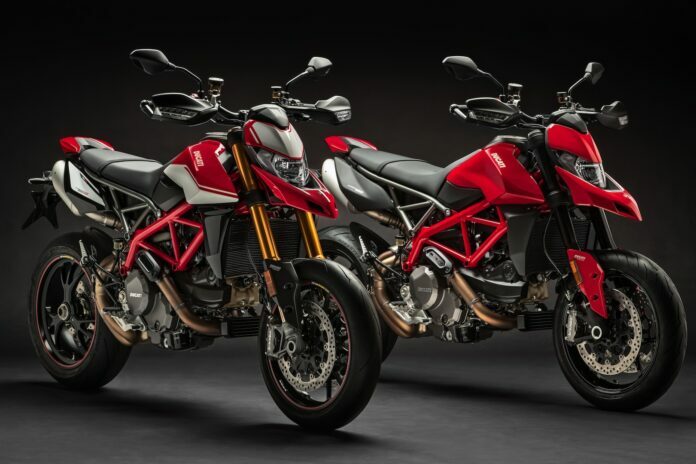 Dealers will start receiving 2019 Ducati Hypermotard 950 / 950 SP around February 2019. 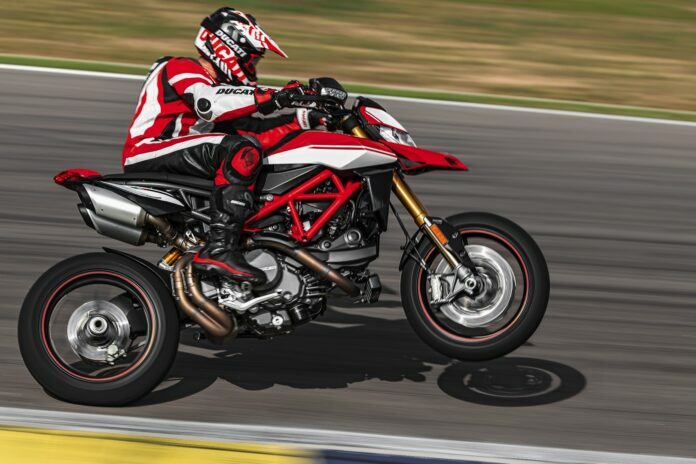 The MSRP for 950 will be $13,295, while SP model will set you back $16,695 in its distinctive red and silver livery. Next articleTan-Wall Tires: Fad or Here to Stay?